For our last night in Seattle, we celebrated our 2-year anniversary! 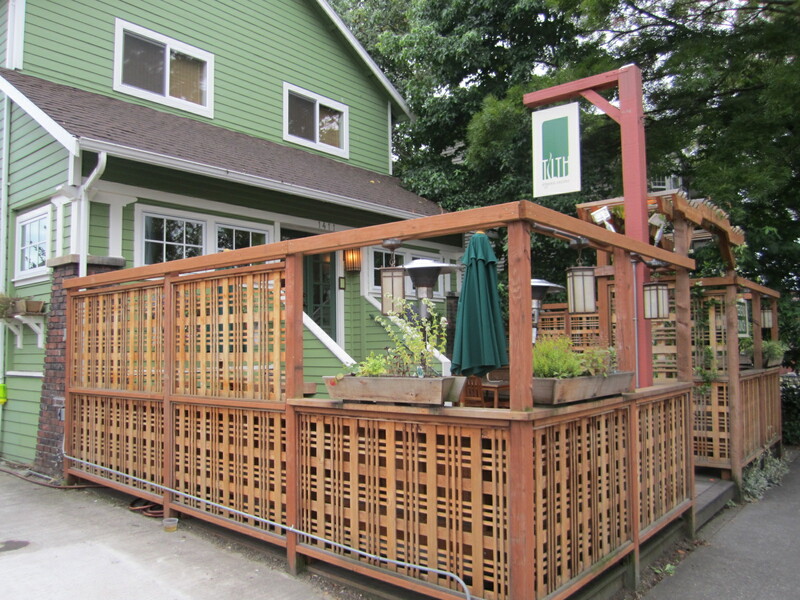 It was more exciting to try a new restaurant while away, so we got a few recommendations and headed to Tilth in a neighborhood of Seattle – Wallingford. 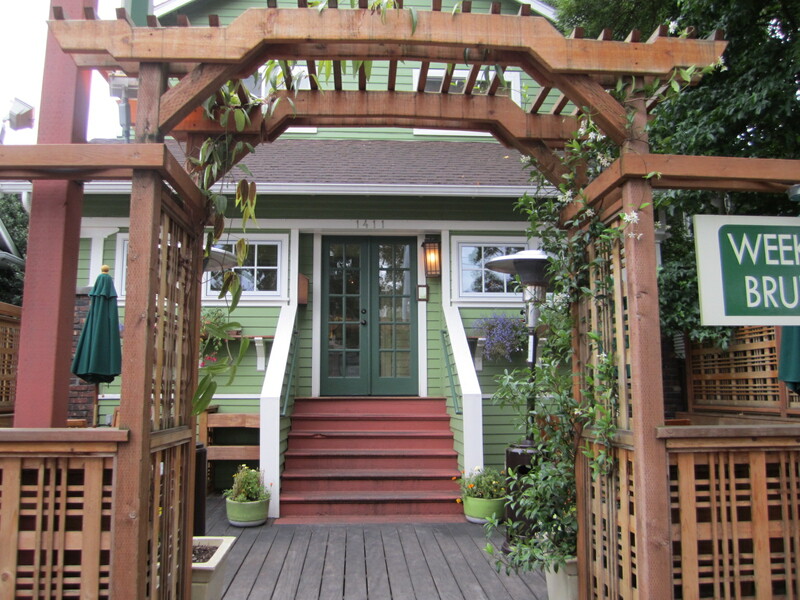 Tilth is set in an adorable little house right on the main street of the neighborhood. 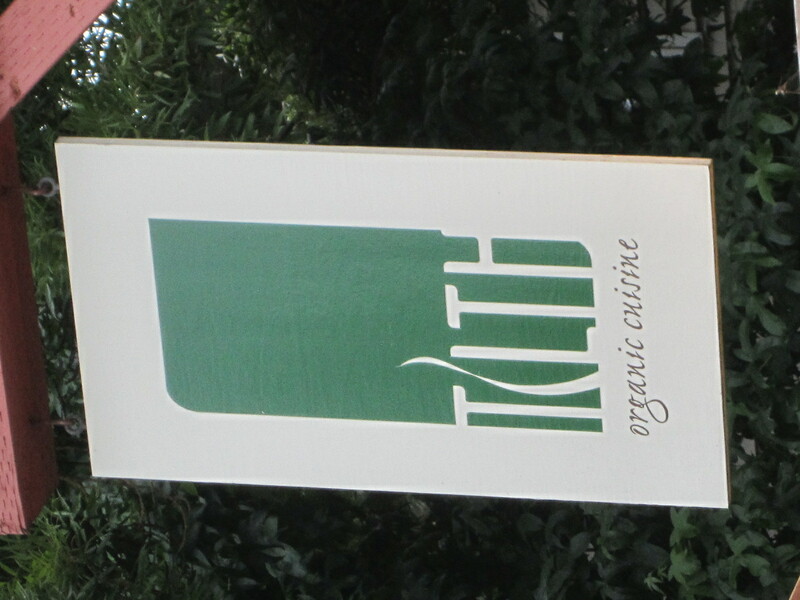 The goal at Tilth is to serve all local and organic ingredients to their customers. And, they did a phenomenal job! 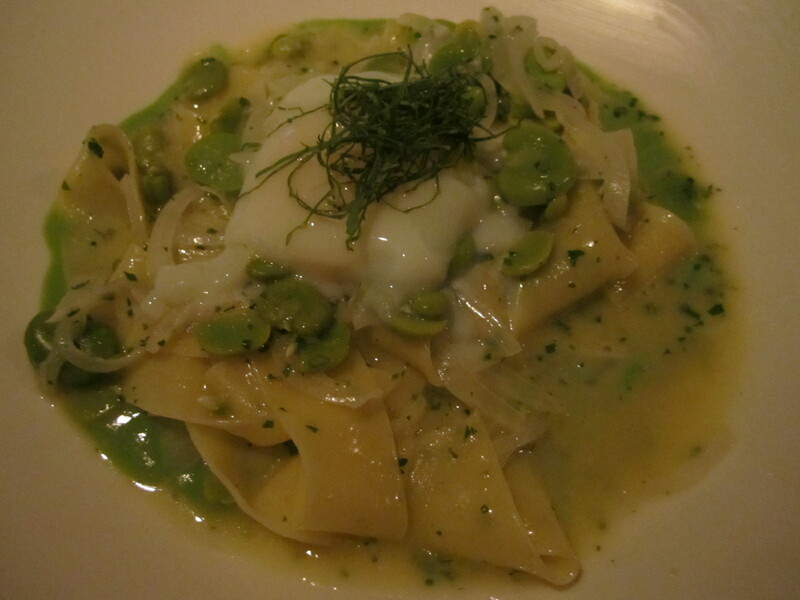 This was by far our favorite meal on our vacation (with Farm to Fork coming in a very close 2nd for me. :)). 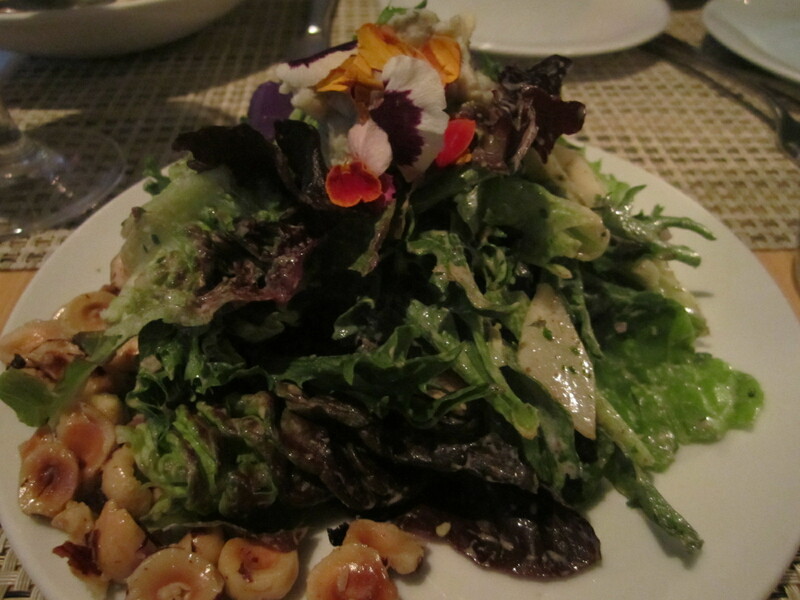 Everything was local and organic! I loved it! 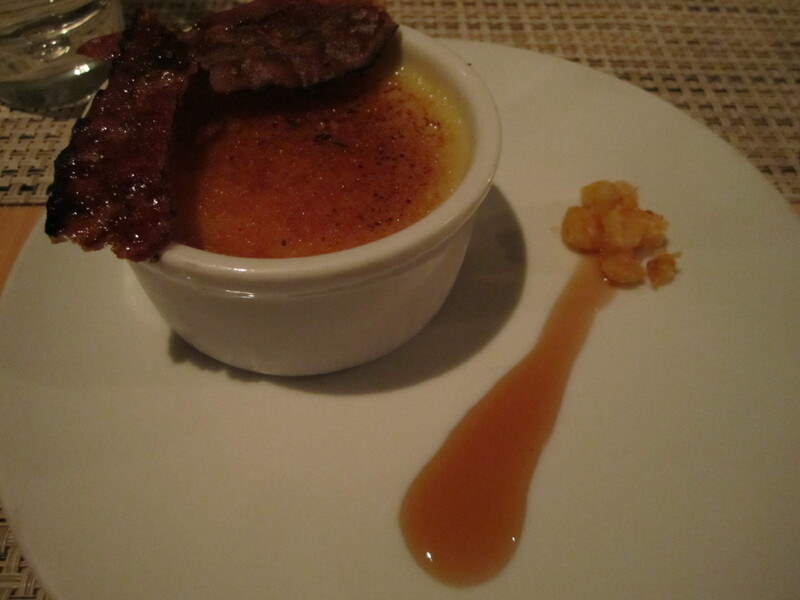 Anyways, back to our dinner…I won’t describe each course because they were all the best I have ever had! So, just remember that when you see the pictures. 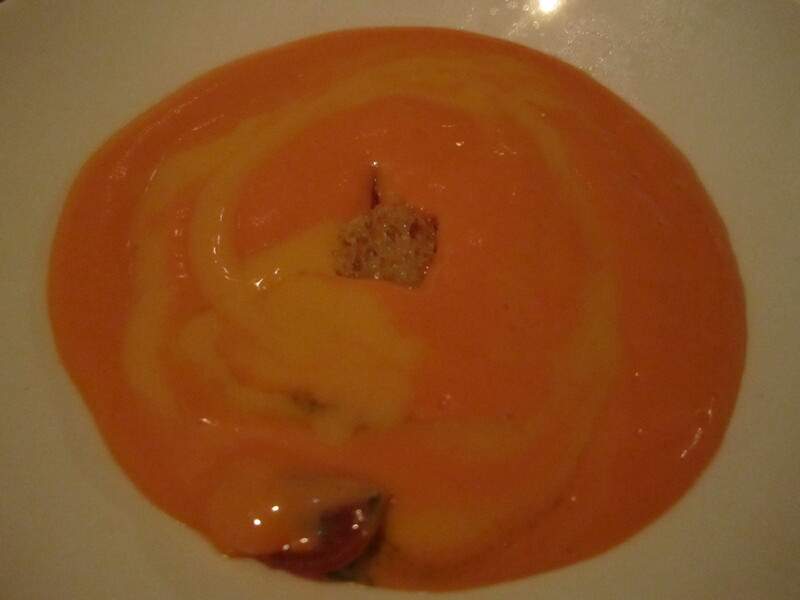 They started us with a cold carrot soup, compliments of the chef. For my entree, I decided on a homemade pasta. Brant ordered a beef special for his entree, which I forgot to photograph! 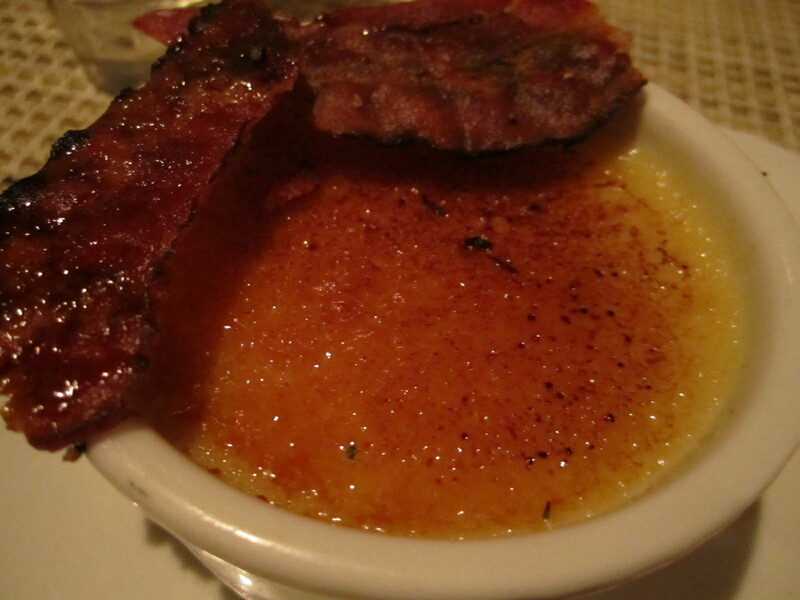 Yes, you saw that right – candied bacon! This meal was unbelievable! 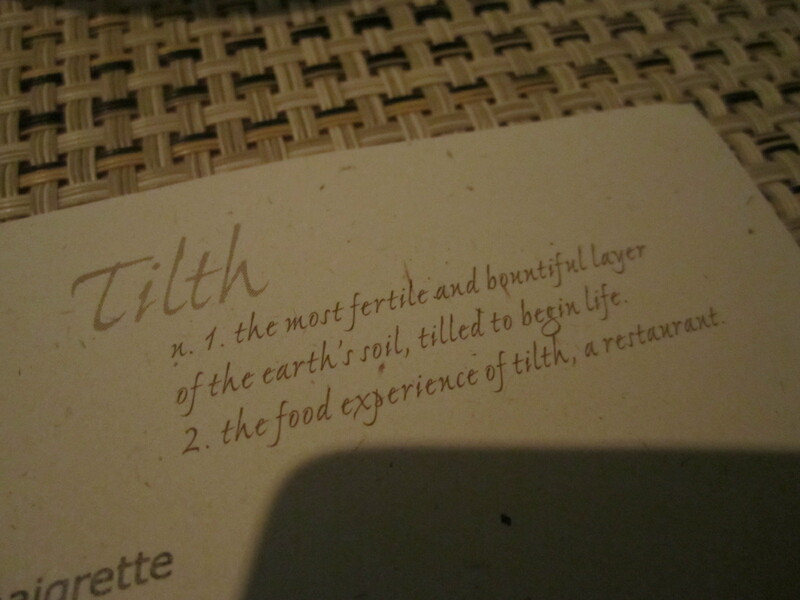 It was the perfect place for an anniversary dinner. 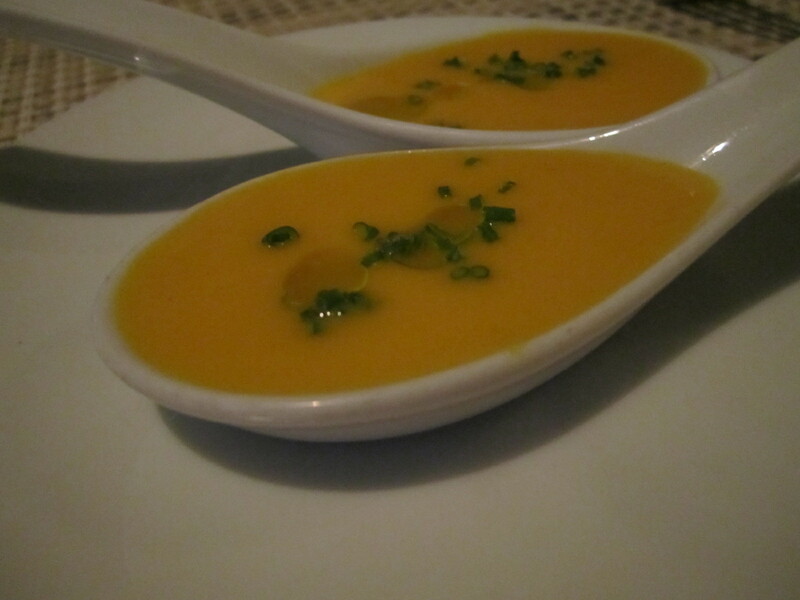 The atmosphere was wonderful, the meal was delicious and the service was superb. 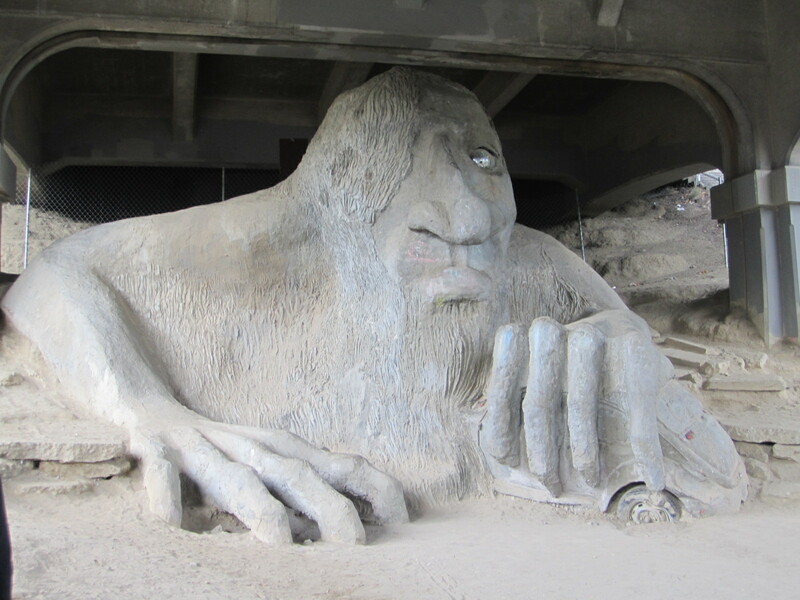 It you are ever in Seattle, definitely try it out. You will not be disappointed, I promise. 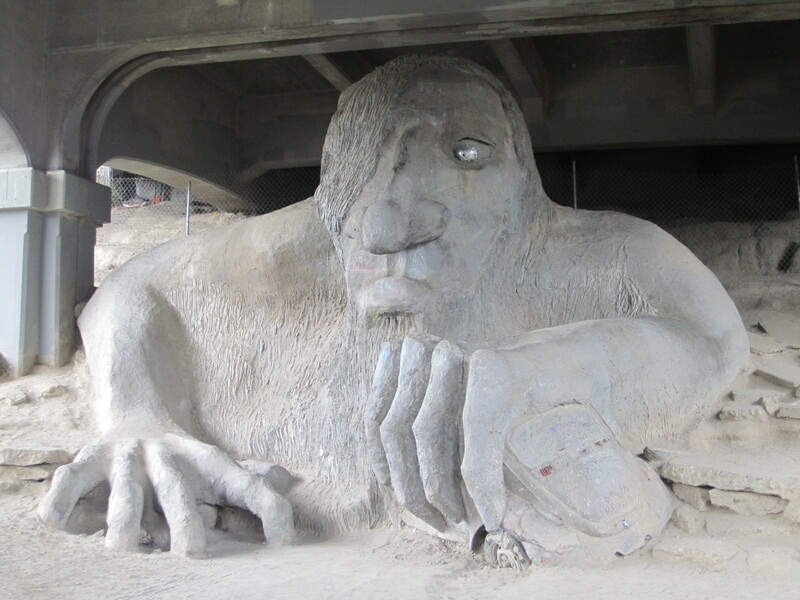 Before dinner, we checked out the Fremont Troll who lives under the bridge. 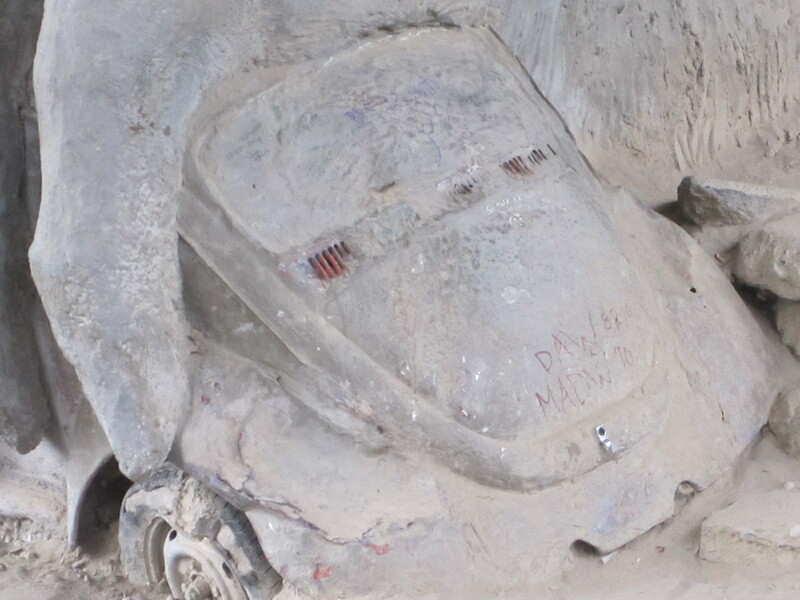 He is crushing a real VW Bug! That’s how big he is!